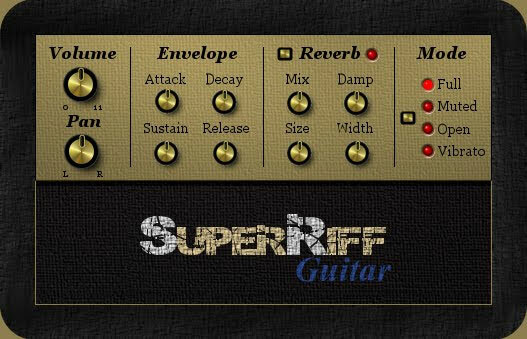 SuperRiff Guitar contains a set of custom distorted electric guitar note samples. At present SRG contains only 1 soundbank of samples. Each note on a keyboard from E1 to D5 can trigger three different guitar sample types depending on which one of 3 velocity values is triggered. (47 samples per type, 141 samples in total ).